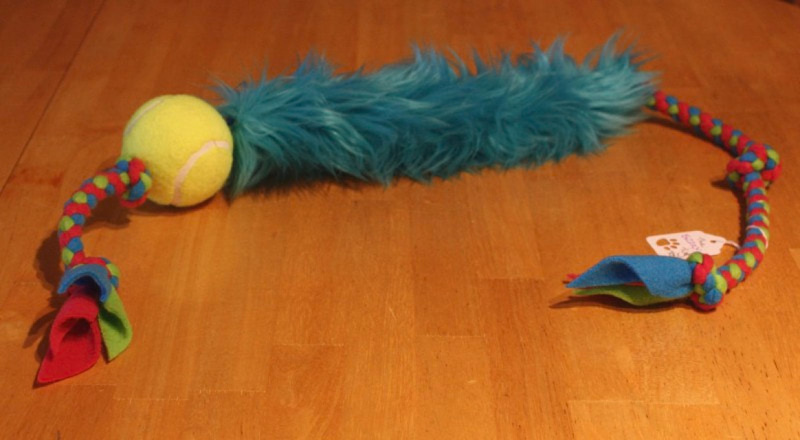 Your dog will want to stay busy playing with this toy for hours. These are made with two layers of material for added durability. The first layer consists of 1,000 Denier Cordura (a very strong material) which is stuffed with our recycled pieces of fleece then covered with faux fur. 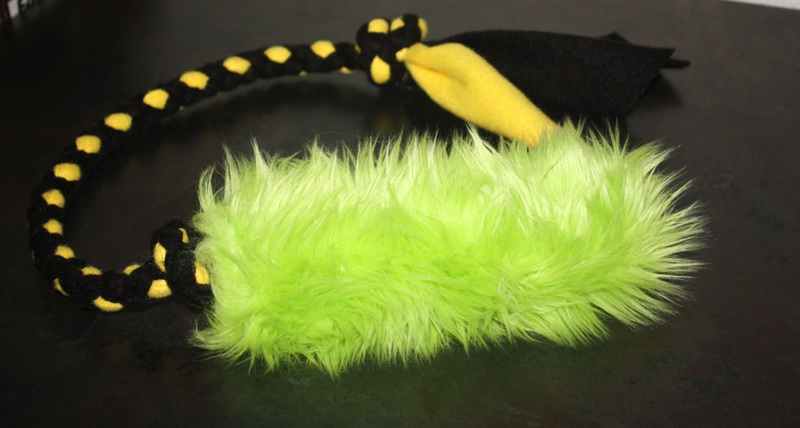 These toys have either a 4 strand braided fleece or padded webbing handles. 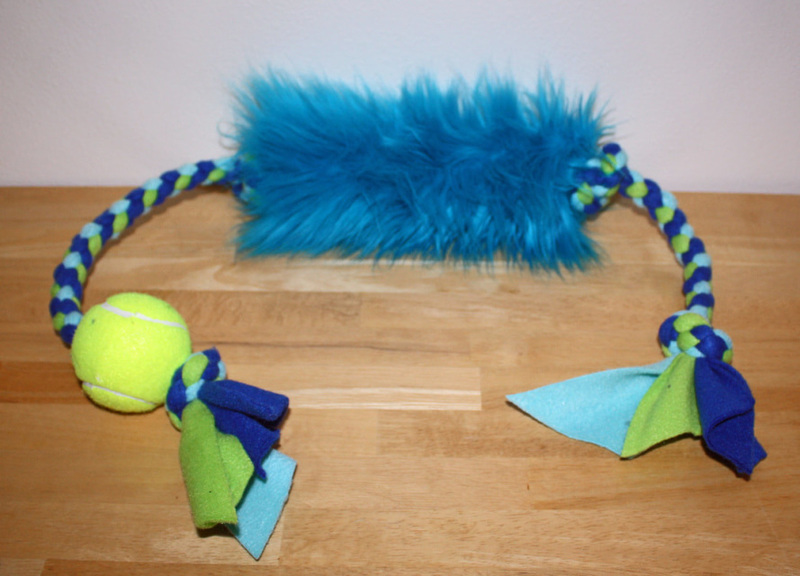 Some of these toys have a smaller squeaker or two, and some have the new barrel squeakers that are very loud and fill the bite area along with tennis balls! Total Length - 19" Bite Area - 10" long and 2" wide. ​I have a barrel squeaker! Total length- 33" 3/4" diameter braid. Bite Area-10" long and 2.5" wide. ​I have a barrel squeaker and am lightly stuffed. 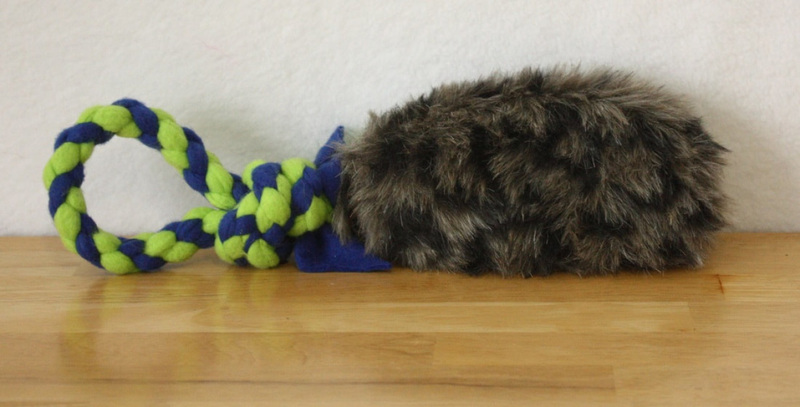 ​I have a squeaker and am lightly stuffed. Total Length-30" long 3/4" diameter braid •Bite Area-10" long and 2.5" wide. ​Bite Area-10" long and 2.5" wide. 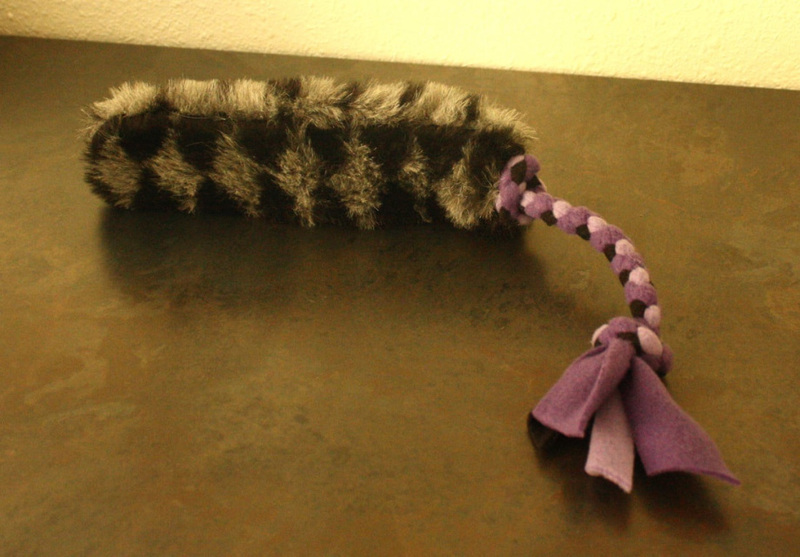 Total Length - 19" long 1/2" diameter braid •Bite Area - 9" long and 3" wide.